@nicolerichie when you were little, what did you want to be when you grew up? @nicolerichie whats your fav season? @nicolerichie fave nail polish color ? I don't wear nail polish while I'm nursing. @nicolerichie what is your favorite drink @ coffee bean? 1 vanilla latte and 1 pure vanilla blended together. @nicolerichie Name someone who u would want to spend a day with... dead or alive? @nicolerichie who is gossip girl? 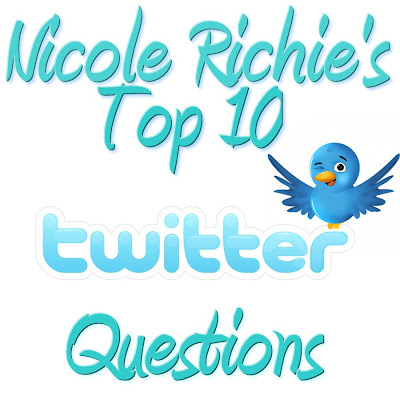 For those of you who don't know already, i will be interviewing Nicole Richie for an exclusive Q&A session for http://www.nrichienews.com/ i want the questions to be from Nicole's biggest fans so send me your questions.